3 1-Year / 2-Year (Foundation / Regular) Classroom Courses Available For NDA Preparation. 4 1 Month / 2 Months / 3 Months NDA Exam CRASH COURSE Coaching Is Provided. 5 Daily 7 to 9 hours Classes for the Students Wants to Apply or Applied for NDA Exam. 6 Special NDA Targeted Dropper Batches For 12th Pass Out Candidates. 7 Hostel & PG Facility – Available for Students those are from the Other States. 8 Specially Designed +16 Booklets Set For NDA Written Exam are Provided to the Cadets. 9 Best Teachers Available for NDA Subjects like Math, English, G.K, Chemistry, Physics & Others. 10 Optional Green Card Facility For Candidates those wants to free Re-Join for NDA Batches Again. 11 Solid & Compulsory Revision of Previous NDA Ten Year Paper provided to Every Student. Direct admission is acceptable In Delhi Career Group for the candidate with personal interview by defence officer. The tenure for the whole course is of 2 years. The course is studied under the name of NDA Foundation course. Most probably fresh batches starts every Monday. We charge very affordable fee from candidates. We also provide instalment facility for the fee payment. SSB Interview & Spoken English Classes also run in this course. 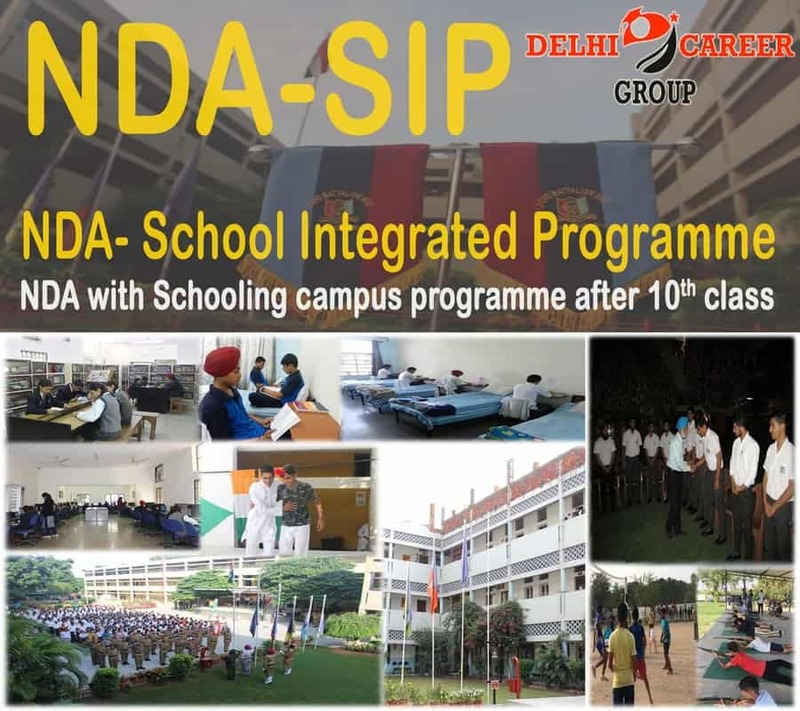 Delhi Career Group is the only organization which is well known for its best NDA Coaching in Chandigarh. For NDA Coaching we have highly experienced & permanent Team of faculty members who prepare students for NDA Exam. The Particular caliber of skill and talent followed by Delhi Career Group ensure that every Cadet who join us for coaching, feels fully confident, satisfied and properly prepared for exam. From the last two decades we have achieved brilliant results. We are proud to say that in alumni ceremony 9 out of 10 candidates are selected from our academy. We have 100% success rates for the defence candidates. Hostel/PG facility for outside students. We provide NDA latest study material. We provide customized morning and evening sessions. Every Saturday NDA Mock Tests are conducted. We also provide facility for online Coaching classes. We provide coaching in small batches.